Some of us have worked those types of jobs. You know, the ones requiring “professional” dress. They have one-thousand guidelines on what you can and what you can’t wear. This limits our ability to rock those trendy items and can make expressing our style a challenge. While wearing my share of business suits and dresses, I always looked for little ways to sneak some flavor into my outfits. It just helped me to enjoy my day better :-). My secret on this was simple; it was all in the details. Grab some accessories like a colorful necklace, dangling earrings and a few bangles to add some spice to your outfit. I KNOW you have something in your jewelry box you haven’t touched in a while. Otherwise, the dollar store or accessory shops have some cute options. Blouses are pretty with a blazer but how about switching it out for a sequined tank? If you must wear hosiery, you can break out of the norm and easily add a pop of color with opaque tights or printed socks. I challenge you to try any one of these suggestions, and then let me know how it works out for you! 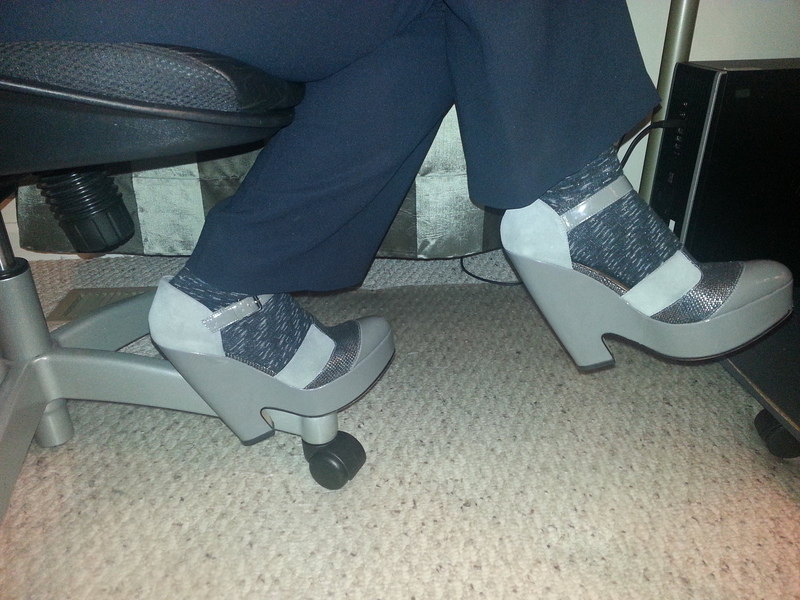 What are some ways you sneak in a bit of style at work?